Hunters are a special breed, dedicated to tracking down treasure, magical beasts, and even humans. But such pursuits require a license, and less than one in a hundred thousand can pass the grueling qualification exam. Gon might be a country boy, but he has high aspirations. 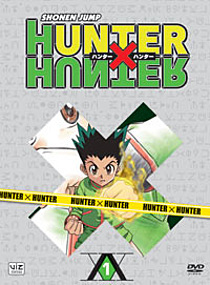 Despite his aunt's protest, Gon decides to follow in his father's footsteps and become a legendary Hunter. The journey begins on the long, arduous road to the Exam Hall, where he meets Leorio and Kurapika, two applicants with the same determination. Gon and his two companions must now prove their worth and earn the right to call themselves Hunters!